Start a Revolution "Why has our industry biased computer stations toward only sitting when there are so many benefits to mixing your day up with sitting and standing?" 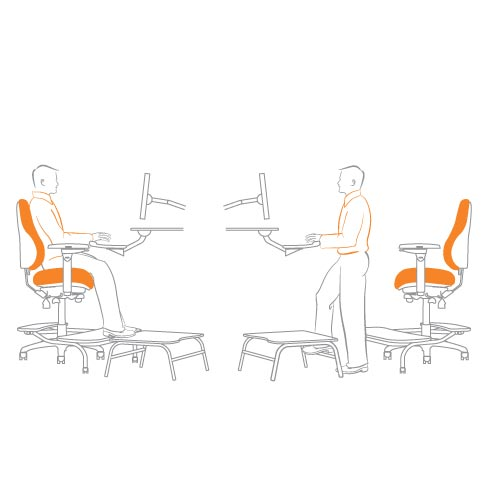 asks Dr. Mark Benden, ergonomist and EVP for Neutral Posture, Inc. Unfortunately, computer advancements have left us so sedentary and tied to our desks that we must work at finding ways to provide our bodies the movement that they desire to keep us healthy and vibrant. 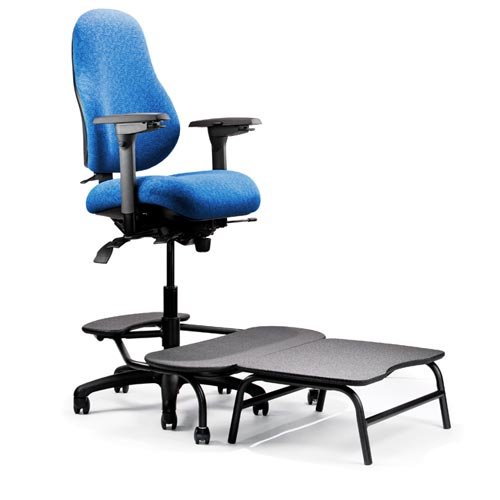 The N·tune Seating System does just that and can include the patented N·step along with the US Patent Pending N·position. 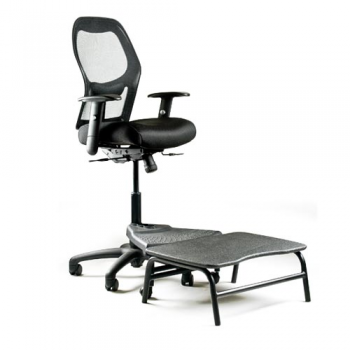 Both can be used with any system furniture capable of being set up at standing height. 8" - 22" - 30"
10" - 24" - 34"